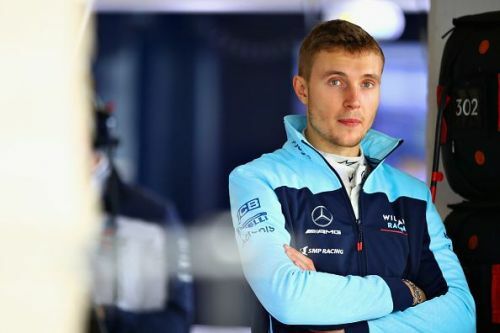 Sergey Sirotkin only made his debut with Williams F1 only in 2018 but unfortunately lost his seat for 2019 to Robert Kubica because his main sponsor, SMP Racing, did not want him to drive for a 'weak team' like Williams. “The decision, naturally, will be made by the management of SMP Racing," Mikhail Aleshin, who works for Russia’s SMP Bank, told GPBlog. “Objectively, Sergey has great potential, but it is clear that it cannot be realised if you go with a weak team." Williams F1 has been one of the sport's heritage teams, winning multiple titles in its history, and boasted of drivers like Ayrton Senna and Nigel Mansell. However, their last world champion was Jacques Villeneuve way back in 1997, 20 years ago. While they had a resurgence a few years with some podiums, those performances have since faded away and Aleshin echoed those thoughts. “Before the start of the season, no one thought Williams would be so bad," he said. Sirotkin finished last in last year's drivers' championship for Williams F1, scoring a solitary point at one of the sport's iconic tracks in Monza, Italy. However, he did show signs of promise, especially at Azerbaijan and Singapore. “When that became clear, Sergey’s only task was to stay ahead of his teammate. It was not easy for him, considering that his teammate had more experience." “Nevertheless, he coped and proved that he would be able to do well with a good team,” added Aleshin. Currently without a drive anywhere, Sirotkin may yet have hopes of driving in Formula E, after testing for Mahindra recently. The all-electric series has slowly been rising up the popularity charts with ex-F1 drivers, with many of them seeking refuge in the series. This season Vandoorne, Massa, Buemi and Wehrlein are some ex-F1 drivers who are participating. Aryton Senna's Crash: What happened on May 1, 1994?